The BTS256-PAR is a high-quality light meter that is well suited for illuminance and luminous color measurements in all application areas thanks to its compact design, high-quality light sensor and precise cosine field of view function. When taking into account the dynamic range, linearity and speed, silicon photodiodes have always been and are still the ultimate light detectors. 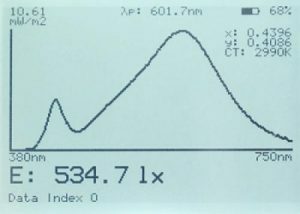 A photometric corrected silicon photodiode is therefore incorporated in the BiTec light sensor of the BTS256-PAR light meter. Its matching to the photometric V(λ) responsivity is improved by the diode array’s spectral measurement data. 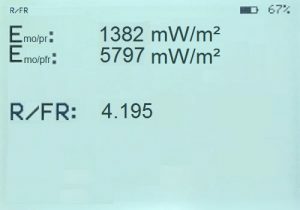 It is possible to use up to five user specific weigthing functions within the device for custom calculations. These functions can be transmitted by the S-BTS256 software and are saved in the device. The fast photodiode of the BiTec light sensor enables the BTS256-PAR to automatically synchronize itself to the frequency of lamps operated in PWM mode. A cosine corrected field of view is absolutely necessary for illuminance measurement devices. 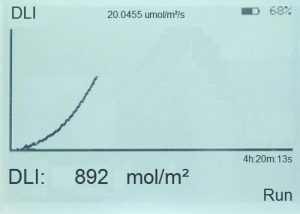 For extended illuminance setups, the cosine matching has significant influence on the measurement uncertainty of the light meter. The BTS256-PAR light meter is equipped with a diffuser window with a 20mm diameter whose cosine matching ensures an f2 ≤ 3% uncertainty which corresponds to the DIN 5036 requirements for the quality class B. Both detectors of the BiTec light sensor are centrally aligned behind the diffuser window and therefore have the same view angle. In applications where limitation of the viewing angle is acceptable, the BTS256-PAR, with its f1’, u, f3 and f4 values, corresponds to the quality class A (DIN 5032 section 7). 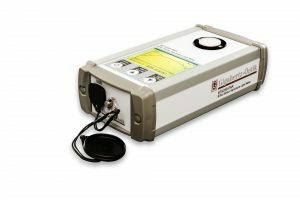 The BTS256-PAR Bi-Tec sensor luxmeter has several display modes where the necessary measurands for the common photometric measurements are incorporated. The cursor buttons can be used to switch between the displays. The BTS256-PAR enables users to individually configure and save display modes. The required measurands can hereby be selected. The BTS256-PAR has all the necessary functions enabling free operation of the device without having to depend on a computer. Furthermore, the rechargeable batteries have a capacity of more than 8 operation hours. The USB power adapter enables recharging of the device without a PC. The BTS256-PAR additionally has a USB 2.0 interface for use with a PC. This enables both data exchange and battery charging. Gigahertz-Optik offers programmers the S-SDK-BTS256 Software Development Tool. This can be used with LabView from National Instruments, .NET from Microsoft and C/C++. The SDKs simplify integration of the BTS256-PAR in an internally developed software.